Honestly, Sun Moon Lake was a bit of a disappointment for us. The amount of time and energy it takes to get there is simply not worth it. The lake is gorgeous, but other than the lake itself and cable car views, there isn’t much to see/do. If you’re looking for a relaxing, scenic view, then maybe give it a try, but we wouldn’t recommend it for our friends. 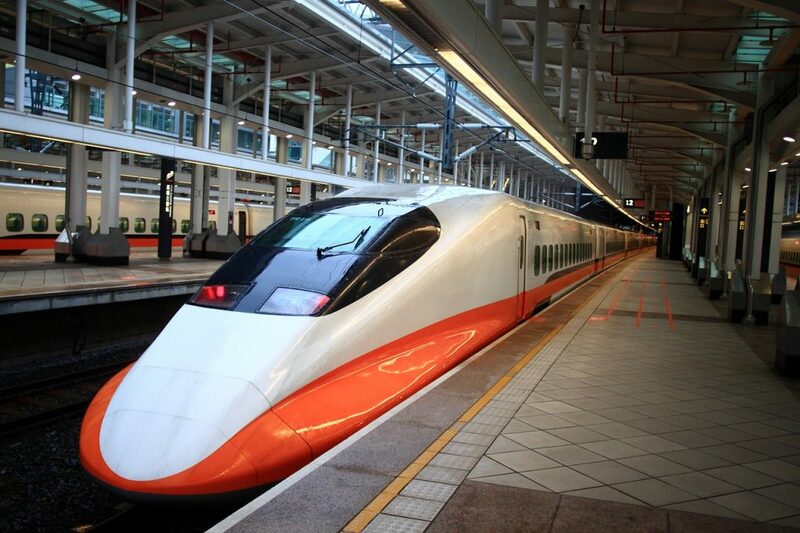 Take the HSR from Taipei Main Station to Taichung (you can pre-purchase tickets online-$45USD roundtrip- prior to your arrival in Taiwan or when you get there). The HSR is clean, safe, punctual and Fast (175mph)! There are drinks and snacks for purchase on board. Upon arrival in Taichung, exit the HSR train and follow the simple signs downstairs to bus terminal 5. There’s a counter for Taichung Bus at the bottom of the escalator (you can’t miss it, it’s the only one). There, you can purchase roundtrip tickets for Sun Moon lake at $11USD per person. There is literally a bus leaving every 15 mintues all day, every day to Sun Moon Lake, so there is NO need to pre-purchase tickets. We hopped in line and were out the door within 15 minutes. The bus was your standard coach bus, a bit bumpy on the winding roads, but overall comfortable. After the 1.5 hour ride, we were dropped off at Shueishe Visitor Center, which was only a 2 minute walk from our hotel. There’s an ABUNDANCE of hotels available in Sun Moon Lake, some which come with a steep budget. Nestled on the more quiet portion of Sun Moon lake next to Shuishe Pier, Spa Home Hotel doesn’t look like much from the outside, but on the inside, the décor is clean and modern. 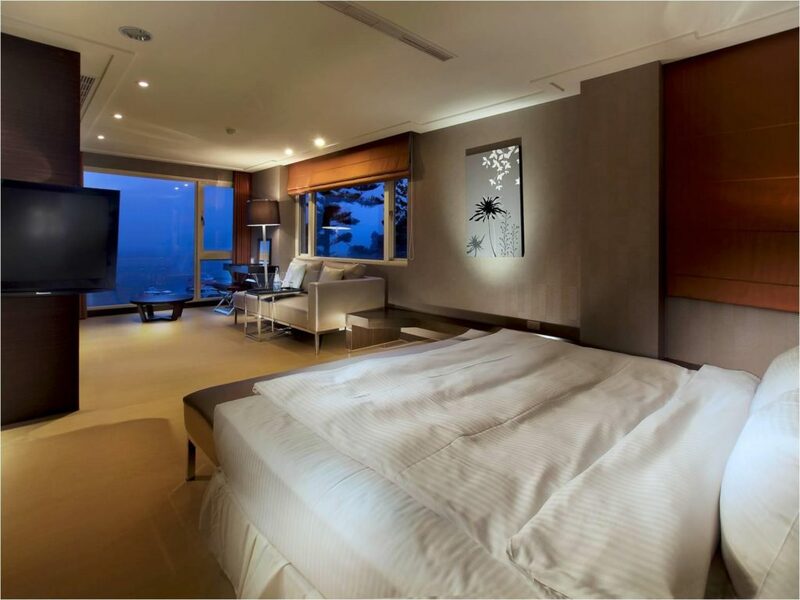 The rooms were large and comfortable, not to mention the AMAZING view of the lake we had from our balcony. Watching the sunrise off the balcony in the morning was magical over the peaceful water. This hotel was more on the expensive end for our 4 month travel budget…costing $150USD/night. This is a must do, as you’ll get to see all the major sights on the lake. For $10USD, you can purchase an all day ticket, which will take you to all three stops/piers along the route (Shuishe Pier, Ita Thao Pier, and Xuanguang Pier). Hopping on/off the boat at each stop is quite easy, as boats come/go every 10 minutes. Tickets can be purchased at Shuishe or Ita Thao Pier. Do note that the last boat leaves between 4:30pm and 5:10pm, depending on which pier and which time of year, so be sure to get on by those times, or you’ll be stranded on the other side of the lake and have to hire a taxi. You can view the Sun Moon Lake Boat Schedule so you’re on top of it. 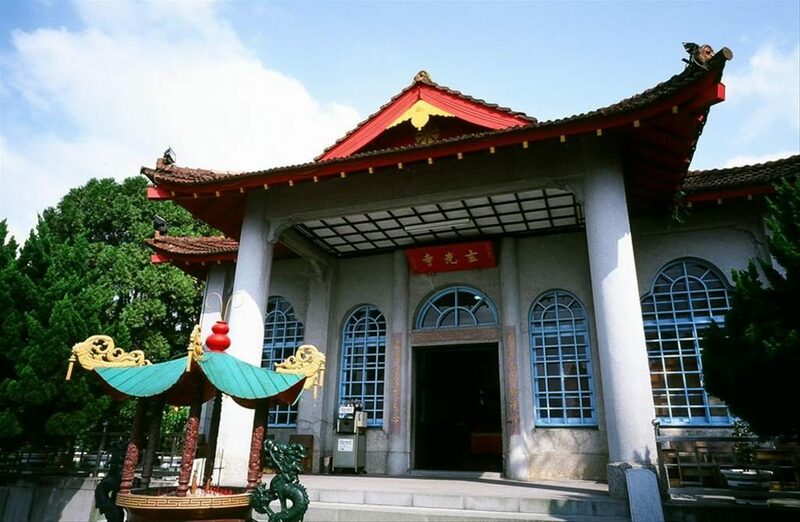 Located at stop two/Xuanguang Pier on the boat tour, Syuanguang Temple is located at the top of an 850 meter, gentle stair incline. 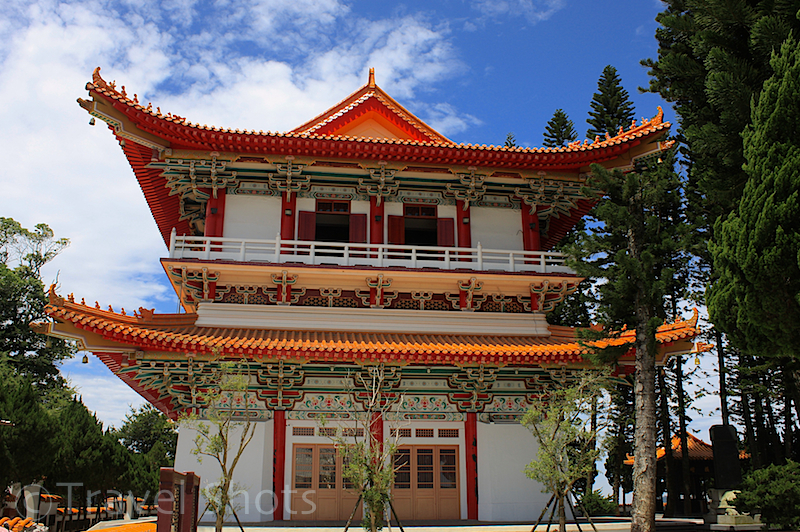 If you’d like to continue on upward, you’ll reach Syuanzang Temple. This trail is also called “Pilgrim’s Trail” because of the large numbers of religious devotees who take boats to the pier to worship at the two temples. Located at stop three, Ita Thao Pier, Ita Thao Village was our favorite part of the trip. 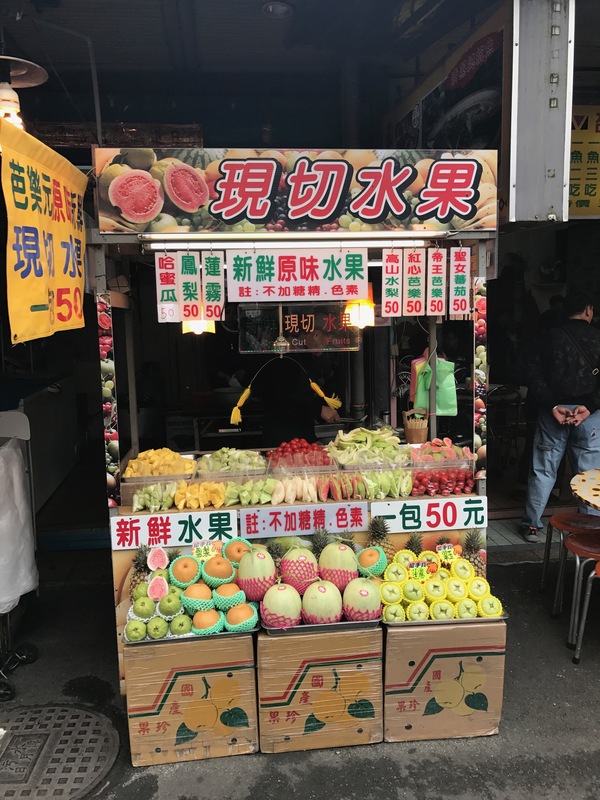 There’s a never-ending amount of street food, souvenir shops and entertainment throughout the village, which made for a really fun few hours. Sun Moon Lake Ropeway (Cable Cars) is just a short half mile walk from the village. 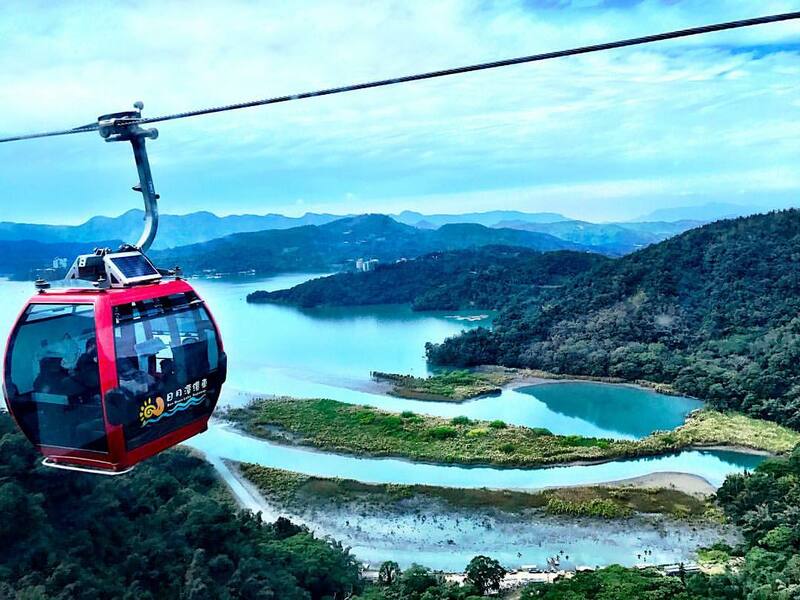 Located at stop three, Sun Moon Lake Ropeway is a must do while visiting Sun Moon Lake. 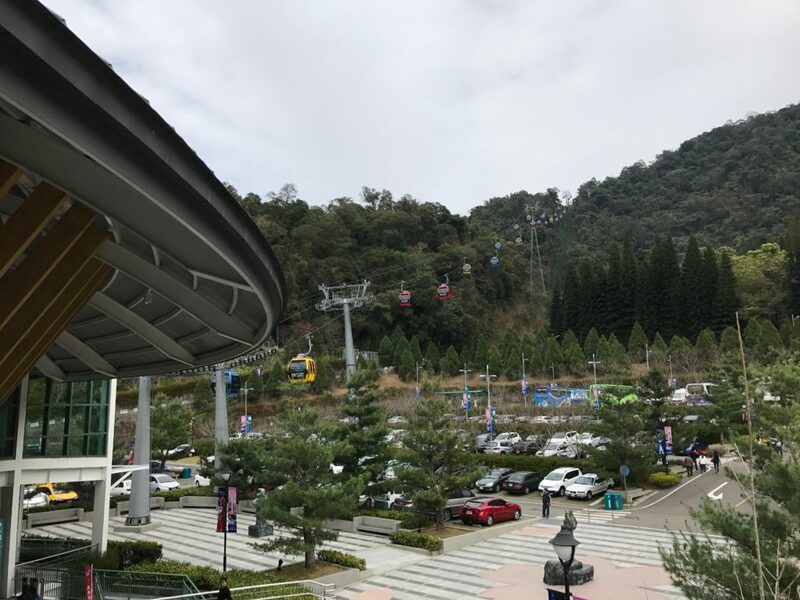 The views are incredible, not to mention Formosan Aboriginal Culture Village Park is located at the end of the Gondola (although we didn’t partake). The Gondola is located a half mile (800m) walk from Ita Thao Village. For $10USD (300TWD) round-trip, you can hop in a very quick queue to get on the gondola. The ride was GORGEOUS and went over three mountains and lasted about 8-10 minutes. 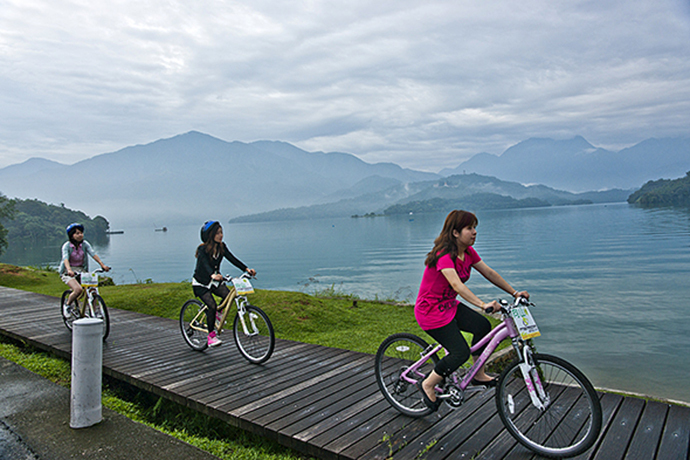 Bicycling around Sun Moon Lake is a super common and fun activity. The best place to rent bikes is from Giant Sun Moon Lake Bike Rental. It’ll cost you about $6.50USD for two hours of rental, with the cost of a deposit varying on the bike model. 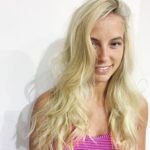 Ok, I’m going to be completely honest with you, because that is what this blog is all about. We HATED the food at Sun Moon Lake. The options were terrible. There was literally nothing besides Chinese hot pot, which we’re not the biggest fans of. The best food we could find was Moon Cafe, which had very kind service, cheap wine and dismal food (the pizza was ok). We basically ate at Starbucks, our hotel and Moon Cafe the entire time (was wahhhhhh)! 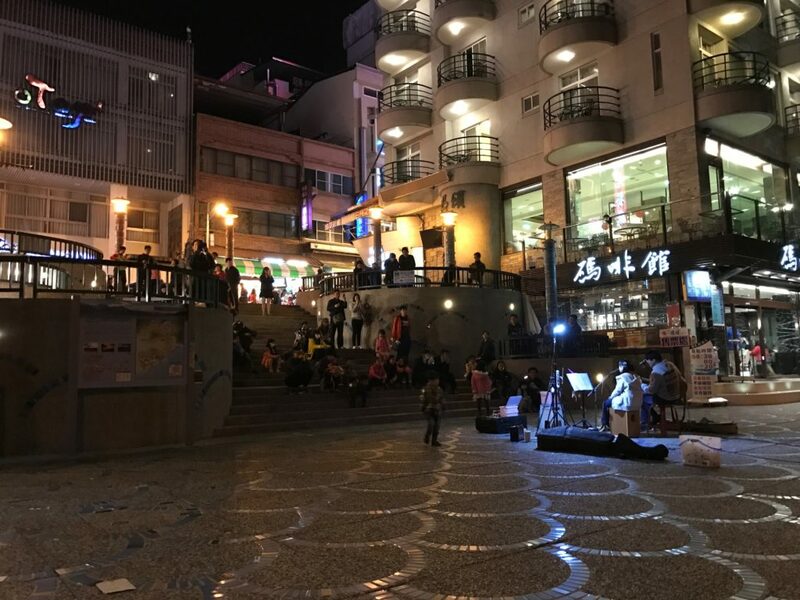 After your stay in Sun Moon Lake, simply head back to the Shueishe Visitor Center and queue up for a bus back to Taichung HSR station (your accommodation can provide you with a timetable of the bus schedule). 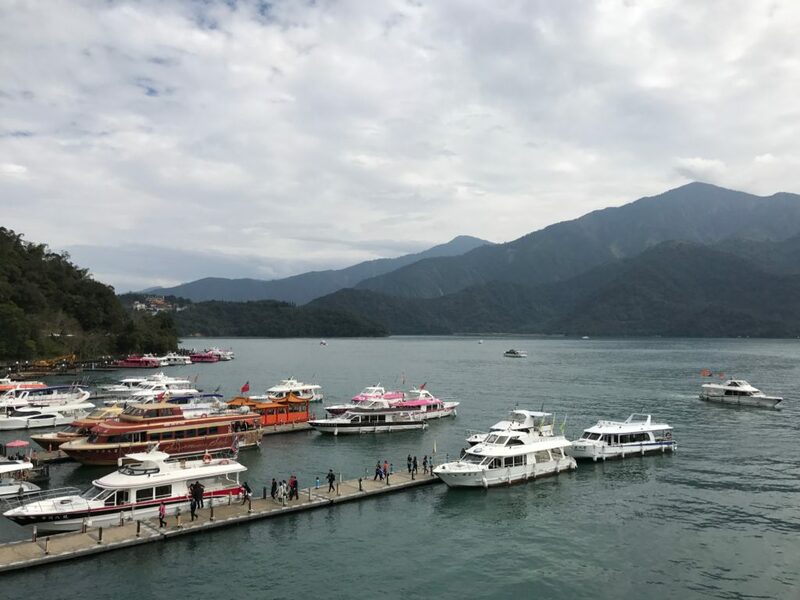 Buses come just about every 30 minutes, but if you’re visiting on a weekend, be sure to queue up earlier than the last available bus, because you may not get a seat and end up stuck in Sun Moon Lake (the last bus leaves at 7:30pm)! We stayed just one night in Taichung before transiting back up to Taipei on the high-speed rail. 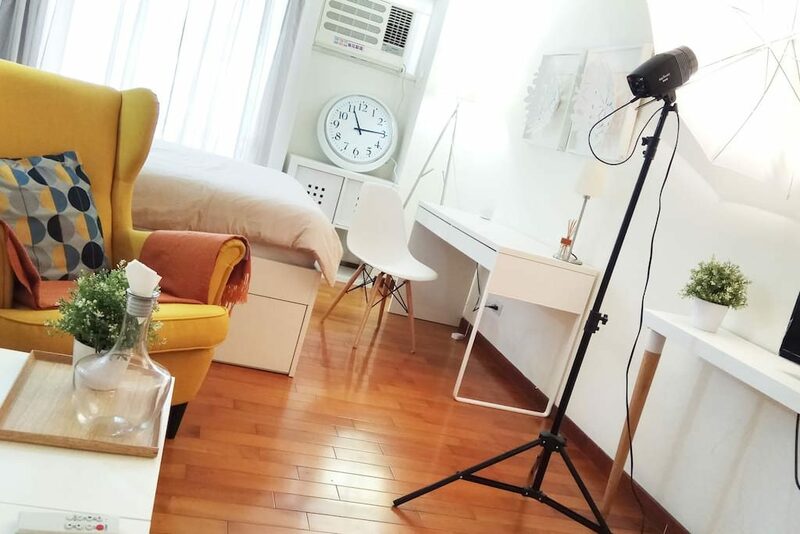 I would totally recommend our Taichung Airbnb, as it was centrally located next to many restaurants and the owner is an interior designer, so the places’ decor is on point! 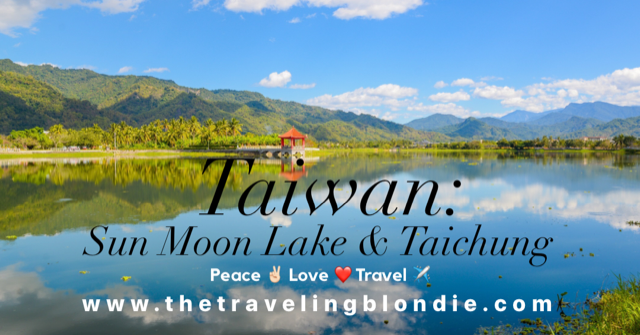 I plan to travel down south from Taipei to Sun Moon Lake, then to Taichung. I’m not sure if I should stay overnight at Sun Moon Lake or not. What do you recommend? 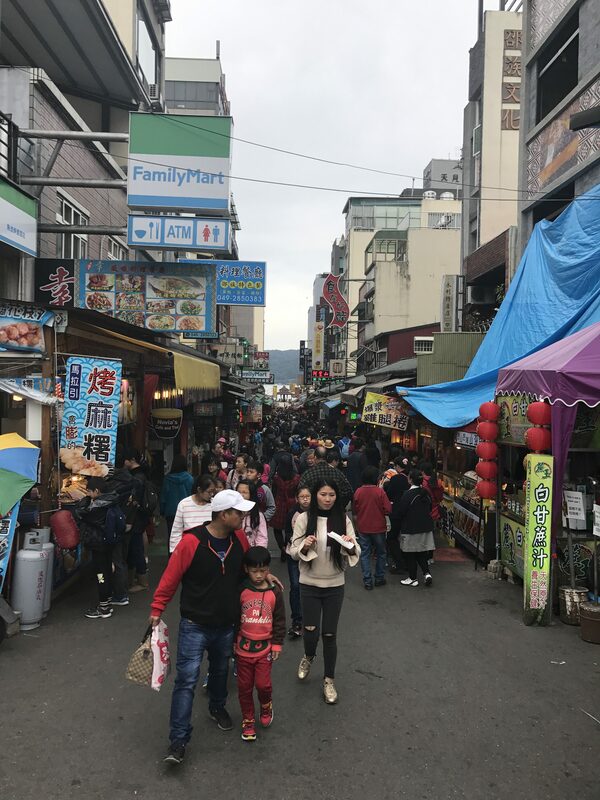 And, how did you get to downtown Taichung from Sun Moon Lake? That is my most major concern. Hi Simon! Thank you so very much for reading my post, I’m so glad you found it helpful! 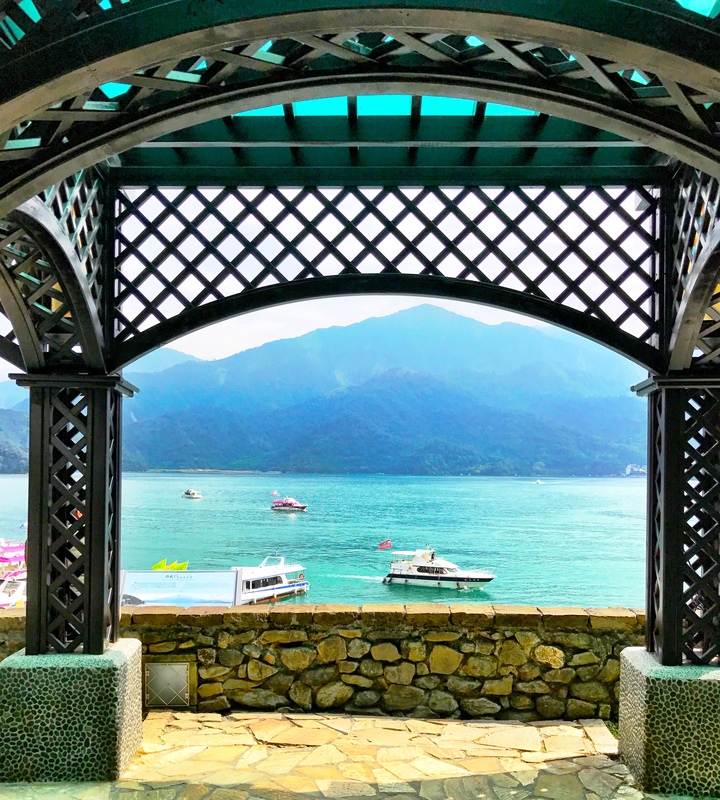 Sun Moon Lake can be a day trip from Taichung, if you are on a time or budget constraint, but it is best to stay there at least one night and enjoy it with more relaxation. You can take the bus directly from Sun Moon Lake to Taichung Train Station, then another bus (or taxi) into the city. Hope you enjoy your trip! My family is planning to visit the formosa theme Park. If the cable car closes 4pm, how can we get back at sueishe center if we leave the theme Park at closing hour 5pm. Is there a bus going back from formosa to ita thao village? Hello! Thanks so much for reaching out! I honestly am not sure of the answer to your question, as we didn’t go into the cultural village. I think it’s best to consult the Formosan Cultural Village themselves for an accurate answer. Their customer service hotline number is 886-49-2898835 and you can visit their website here: https://www.nine.com.tw/webe/html/information/index.aspx I hope you have a wonderful trip! !